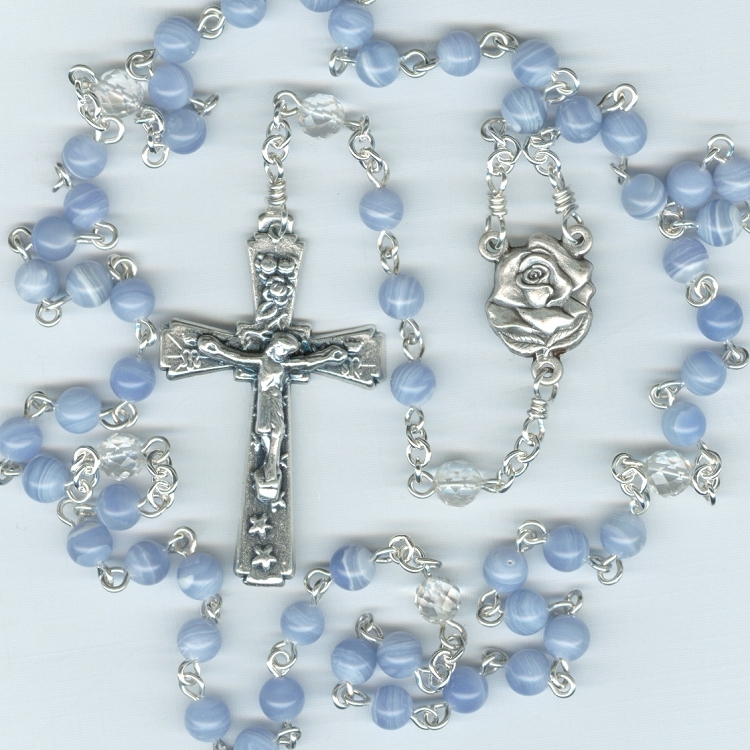 This genuine stone rosary was made using a darker blue 6mm round blue lace agate for the Aves and 6mm faceted clear quartz stone for the Paters. The wire has been upgraded to silver filled which is similar to silver plate, except the plating is quite a bit thicker. 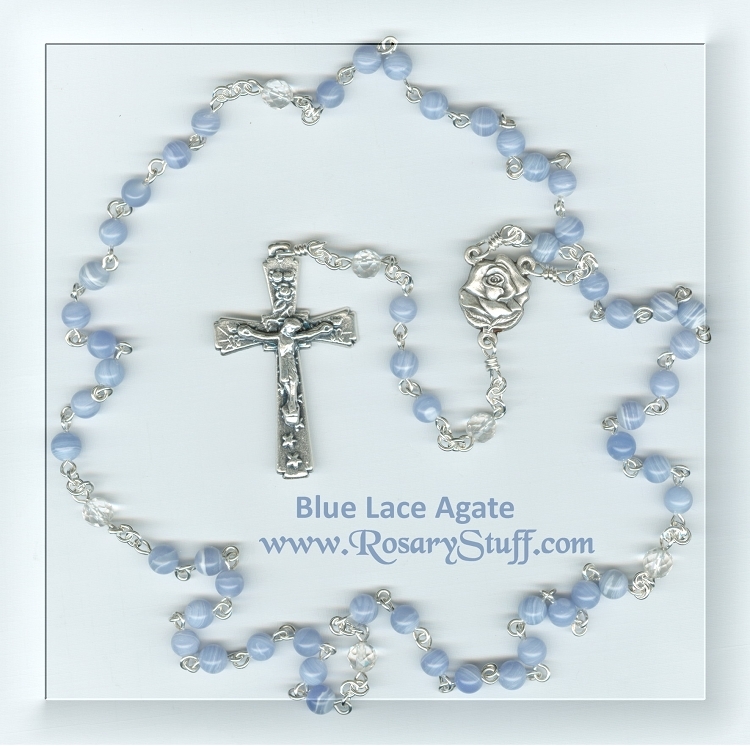 The soft blue paired with the lovely rose center and crucifix make a beautiful rosary. Every full-sized, hand made, Speziale rosary also comes with a special prayer card and a drawstring pouch for easy storage.